Shopping in Bali is never dull. Whether you go to the big department stores, the small boutiques in the tourist towns or the little markets off the beaten track, you will be greeted with warm smiles and good humour. 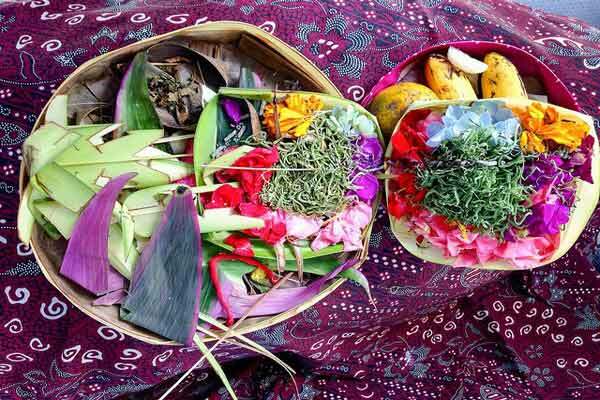 No matter where you are, offerings (known as canang sari) are placed in front of each business every morning to give them luck for the day. Little woven banana leaf plates with rice, flowers and a joss stick. You even see the offerings on the floor inside large department stores. I have on a couple of occasions managed to trip over them and burn myself on a joss stick from an offering sitting on a shop counter, but it’s all part of the charm of Bali life! Another tradition you’ll need to get used to is bargaining. Apart from in the large stores or more upmarket boutiques, you’ll always be expected to bargain the price down. You can guarantee that the seller will start at a price at least 50% higher than they are prepared to accept. So it’s a good idea to check what the going rate is for something you want to buy first, and decide what you are prepared to pay before you start. Don’t be afraid to walk away. You can be sure the price will go down a bit more as you leave! 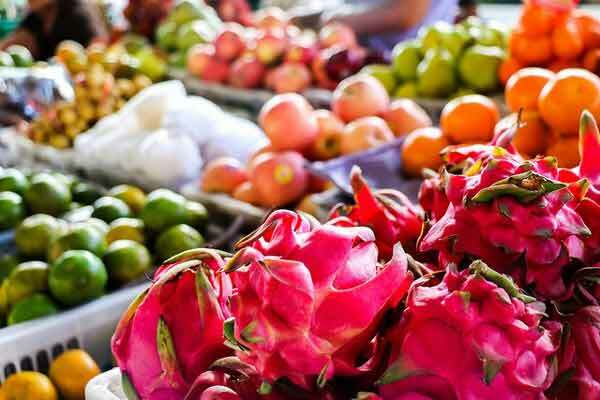 In the food markets, you’ll find locally grown produce and, particularly in Ubud, you can source organically grown fruit and vegetables. You’ll find the prices much lower in the local markets than in the supermarkets especially if you bargain. The cheapest way to buy food is if you have a maid to buy it for you as they will get ‘local’ prices. Either way, fruit and veg will seem much cheaper than in Australia. I remember giving some ladies in a market near Bondalem about 50 cents for five limes. They laughed their heads off at their good fortune and put 10 more in for me. If you’re adventurous you’ll find all kinds of exotic things in the markets, such as tropical fruits like mangosteen and durian, all kinds of spices, dried fish and things I still can’t identify! The basics are also available in the many supermarkets at reasonable prices. The things you’ll pay a lot more for are imported goods, such as cheese, ham, olives, etc. Those will be the same or a tiny bit more than at home. Wines can also be very expensive in Bali though local beer is cheap. You can obtain pretty much anything that you can get at home, but if you have special requirements, it’s a good idea to bring them. 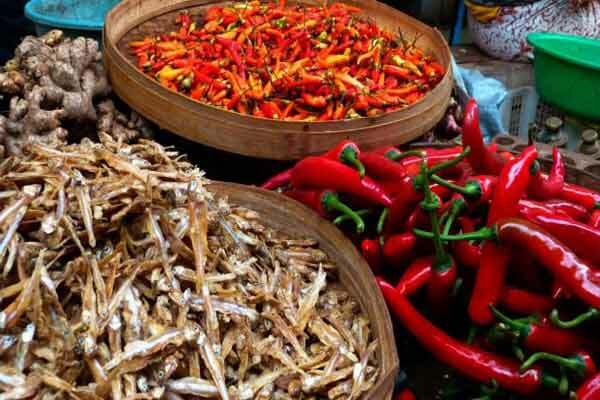 Customs will allow you to bring in tinned or packaged goods, such as coffee or Vegemite, but be careful with fresh plant-based foods as these could be quarantined. Clothes are often made from brightly coloured cottons and cost much less than in Australia. I always stock up on my summer clothes while in Bali. I buy colourful cotton pants for about $10 to $15, summer dresses from $20 and cotton tops for $10. Department stores have a huge range of Indonesian made clothes as well as more Western styles and designer brands (fake or otherwise). Sometimes the department stores can be a little cheaper than the shops along the main streets of Sanur or Seminyak and you don’t have to cope with the hard sell you get from some of those. I also love the specialist textile stores in Sanur where you can see hand-woven Ikat and Batik and buy garments made from these special materials. The Uluwatu Balinese Handmade Lace shop stocks delicate hand-made lace lingerie, blouses, dresses, fans and parasols. There are also tailors in most towns who will make clothes to your own requirements and they usually have a great range of local textiles from which to choose. I had a gorgeous Ikat dress made for me for $50 at a tailor near the Three Monkeys restaurant in Sanur. On the road from Sanur to Ubud you can see Batik being made at the huge Batik Factory. They have a huge range of textiles and garments there too. It’s well worth a visit. You’ll find it at Jl. Raya Batubulan No.9. 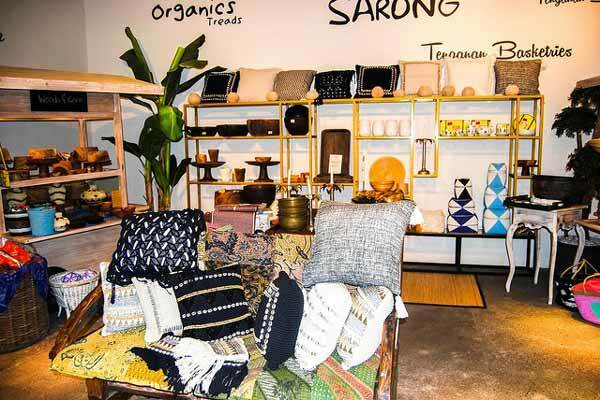 You’ll also get a wonderful choice of small designer fashion boutiques in Sanur, Seminyak and Ubud which are more expensive than the cheap cotton summer clothes you find everywhere, but still a lot more affordable than similar shops in Sydney or Melbourne. The Balinese also make a lot of delicate silver jewellery and there is a whole village dedicated to this art in Celuk just outside Ubud. There you can visit the factories and see how they make the jewellery. 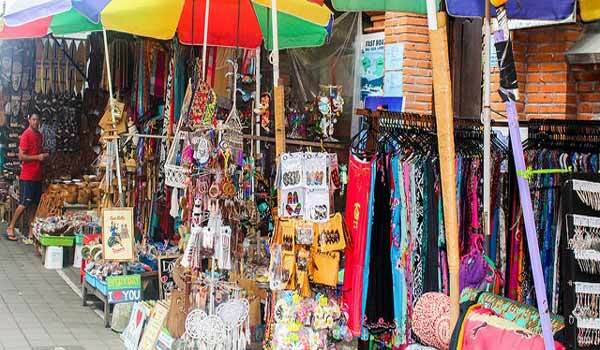 You’ll find many little boutiques selling their pieces everywhere in Bali. The Balinese have a real flair for interior design so you can pick up really lovely pieces for the home. One of the things I love about the shops in Bali is the range of locally produced goods. The Balinese are a very creative people. 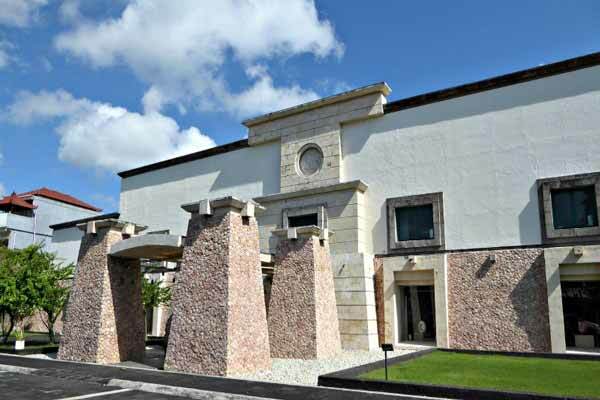 They have their own traditions of textile production, painting, stone sculpture and wood carving. The items they produce are truly beautiful and there is a lot less of what my partner Andre calls ‘tourist tat’ than you find in many popular resorts. 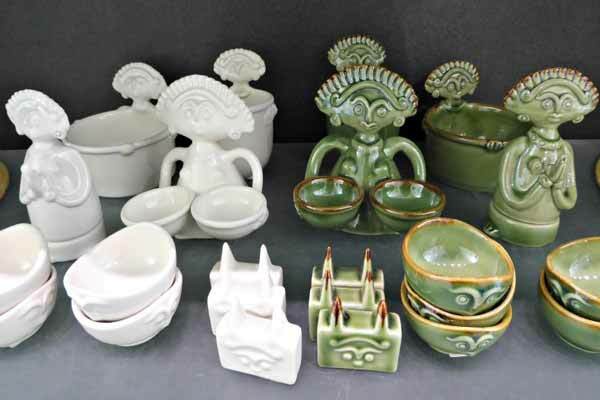 I especially love the ceramics produced in Bali. We visited the Jengalla Ceramics factory on the Bukit Peninsula and were amazed at the beauty of the pieces. From plates and cups, to huge vases and sculptural centrepieces, there was something for all homes. It is well worth a visit even if you don’t buy anything. They are at Jl. Uluwatu II, Jimbaran. 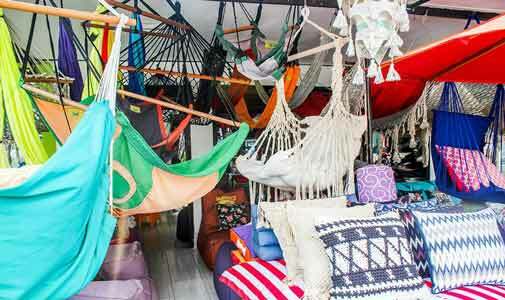 Another great place for stylish homewares is Janet de Neefe’s store in Ubud. Janet is an Australian who married an Ubud prince and started the well-known restaurants Casa Luna and Cafe Indus. She is the author of Fragrant Rice and also founded the Ubud Writers Festival. Her store, The Emporium is downstairs from the Casa Luna restaurant in Ubud and features high quality artisan crafts from Bali and other islands.